Celebrate The Diamond Jubilee of Queen Elizabeth II with John Woods Nurseries and a colourful splash of patriotic colour. John Woods Nurseries supply a broad range of hardy nursery stock to help retailers build a comprehensive offer however they choose to merchandise their plants. With The Queen celebrating her 60 year reign, the following suggestions will give gardeners the option to grow their own red white and blue tribute. 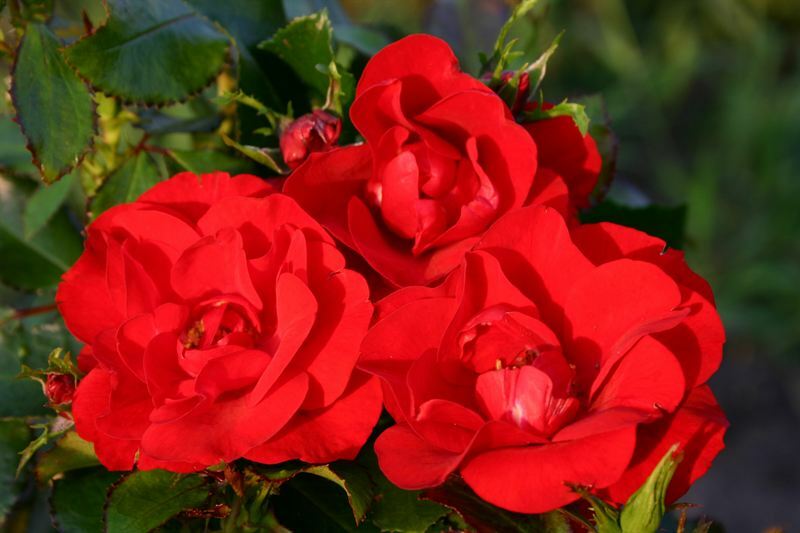 2012’s Rose of The Year, ‘Moment in Time’ makes the perfect choice for the red. It was named to celebrate both HRH The Queen’s Diamond Jubilee and the UK hosting of the 2012 Olympics. The plant has dark green glossy leaves and produces intense ruby-red flowers. Rhodanthemum ‘African Eyes’ provides the white. Easy to care for and drought tolerant, it produces white daisy like flowers with dark yellow centres. Finally, what could be more appropriate than a plant named Veronica Royal Candles to provide a rich blue? This perennial has glossy lance-shaped dark green foliage and is also easy to care for. From its headquarters in Suffolk, East Anglia, John Woods Nurseries produces over 1500 varieties, giving a fantastic range of opportunities to turn this into a Jubilee and Olympic summer to remember. Named to commemorate bothHRHThe Queen’s Diamond Jubilee and the UK hosting of the 2012 Olympics, Rose Moment in Time, the 2012 Rose of the Year, is bred by Kordes. The plant, which features dark green glossy leaves, repeat flowers to produce intense ruby red flowers throughout summer. Performing best in full sun or part shade and fertile, well drained soil, Rose Moment in Time will reach an eventual height and spread of 60 cm x 40 cm. Originating from the High Atlas Mountains of Morocco, Rhodanthemum ‘African Eyes’ is an evergreen with white daisy like flowers with dark yellow eyes and soft powder grey foliage with finely divided leaves. It’s a low growing, easy to care for spreading perennial, making it ideal for front of border. It prefers full sun or part shade and requires a light trim to maintain shape in spring and after flowering. Rhodanthemum ‘African Eyes’ is drought tolerant and will flower all year round to attain an eventual height and spread of 30 x 40cm. An easy to care for perennial which flowers from May-September, Veronica Royal Candles produce deep blue flowers on sturdy stems which attract butterflies. It’s deciduous, flowering from May to September and has glossy lance shaped dark green foliage. Bred by Heather and Mike Philpott, it’s a hardy, vigorous, plant but non invasive, making it ideal for the front of border or containers. It prefers a fertile, loamy and well drained soil, growing best in full sun or part shade. Deadheading the flowers will prolong the growing season. It grows to a height and spread of 45 x 30cm.